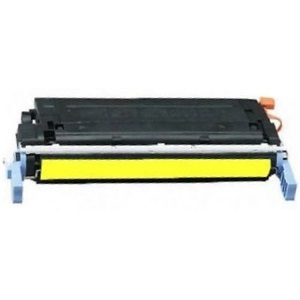 Remanufactured Canon Toner Cartridge, Yellow, 12,000 page yield. Replaces Canon part number: EP-86Y, C9732A, 6827A004AA. Color Laser Toner Cartridge compatible with Canon imageCLASS C3500, LBP2710, LBP5700, LBP5800.